When a wedding client is looking for wedding photographers in Hilton Head Island, SC I am one that they usually call upon to capture their day. You see I want to set myself apart from standard wedding photography. I want the wedding client that is looking for an image maker that has many years in this wedding industry. As a wedding photographer, I love capturing images that require me to be out of my comfort zone, to challenge me at my craft. Lighting or strobe photography is the new quality that a wedding client is looking for when they see that individual wedding photographer portfolio. Take for example this spectacular image that I captured at the Westin Hilton Head Island Resort & Spa at their new venue called, The Grand Ocean Terrace. You can see that I made the light for the couple to accent the fluorescent light from the chandelier and blended it perfectly with the outdoor light. 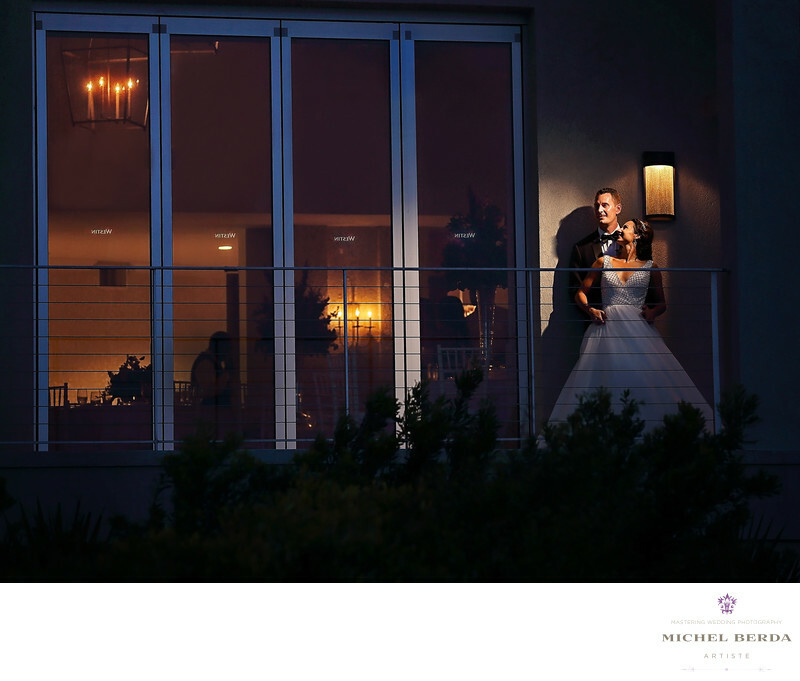 Therefore creating a very compelling night wedding image that my clients loved. Keywords: Hilton head island sc wedding photographer (3), Hilton head island sc wedding photographers (3), Michel Berda (1140), photographer (1125), Wedding Photographer (1254), wedding photographer in hilton head island sc (3), wedding photographers in hilton head island sc (3), wedding venues hilton head island sc (3), weddings hilton head island sc (12), westin weddings hilton head island sc (3).